Sgt. 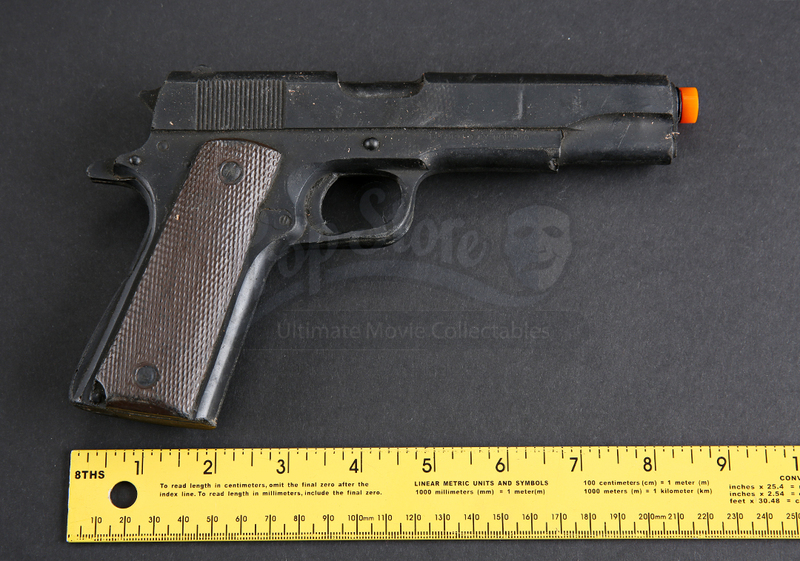 Davis' (Brad Henke) Colt M1911A1 pistol from David Ayer's war drama Fury. 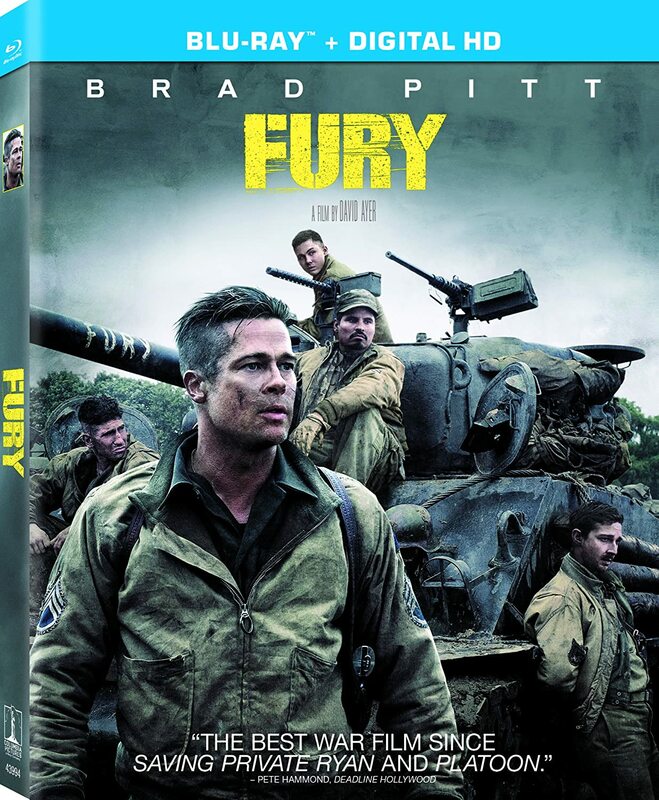 American soldiers, including most of Fury's crew, kept these as side arms throughout the film. Cast in a hard urethane, the pistol features a diamond check-textured grip and faux safety and barrel mechanisms to appear realistic. 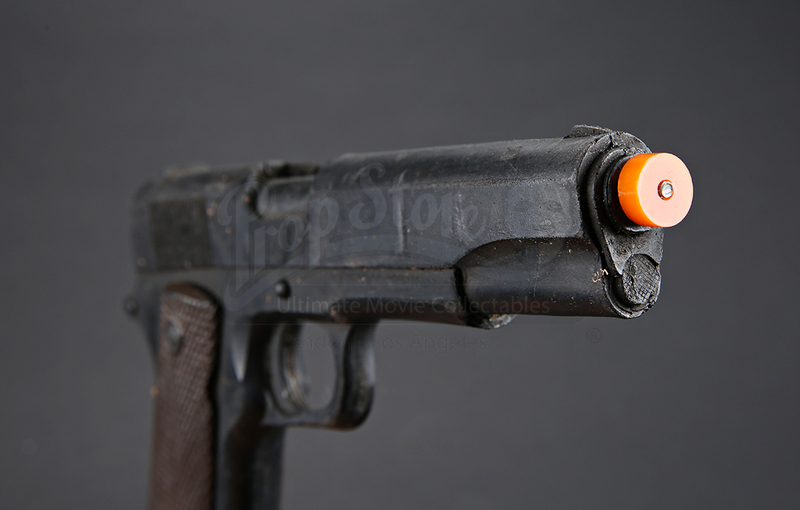 The gun is detailed with serial number '622023' as well as brown paint on the grip. The gun shows slight scuffing and is missing the tip of its hammer, but remains in otherwise good, production-used condition. Please note that in order to conform to legal restrictions an orange plastic tip has been added after the production. The violent crime reduction bill means that this particular prop can only be sold to customers who reside outside the UK. Generally speaking, it is illegal for a resident of the UK to buy this item.